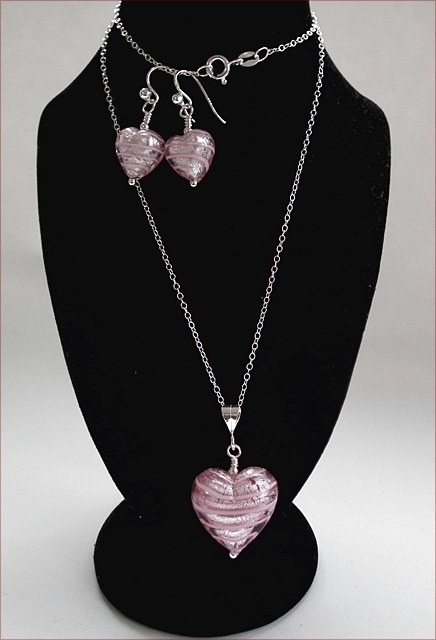 Beautiful Murano glass hearts with pink swirls over silver leaf all captured inside these gorgeous Murano hearts. 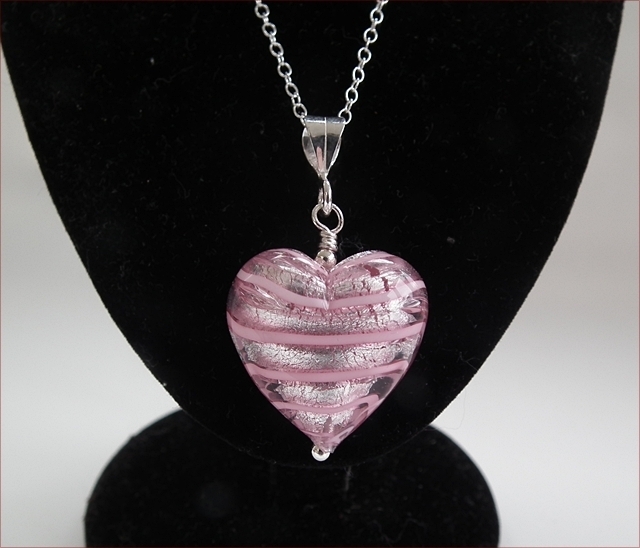 The pendant is on a hallmarked sterling silver bail, with an 18" sterling silver chain and hallmarked bolt ring clasp. 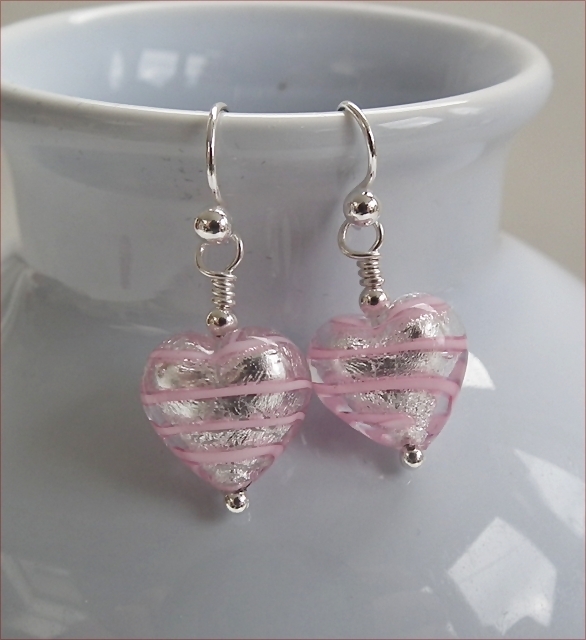 The earrings are on sterling silver earwires - finished off with little sterling silver beads. 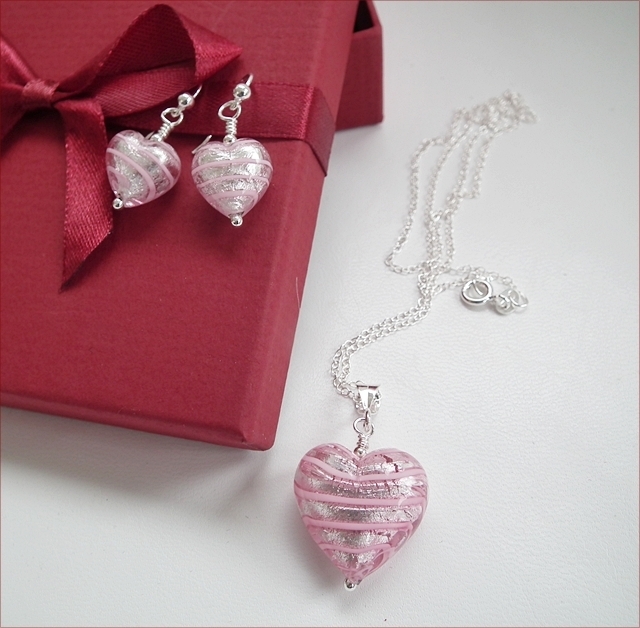 The set comes in a pretty beribboned box, perfect for that special gift.